R.W. Morris b.1895: Purpose and Audience. “Bait Time”: 500 Feet Below the Surface. Richard W. Morris states quite clearly that he is writing his autobiography in response to a call from the Beamish Museum project, for local stories and memoirs. He is quite vocal on the lack of a lasting tribute to the coal mining industry and coal miners ‘in contrast to the thousands of memorials to the dead of two world wars’ (1). 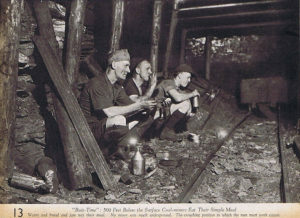 Miners, in many cases, suffered injury, illness, and even death in their efforts to bring coal to the surface. This gives a sense that Richard feels it his duty to create a written account of everything he can remember, regarding his time in and around the Pelton Fell mines. He believes it to be ‘lamentable that so few people bothered to keep any sort of records’ (1). Richard, in my opinion, believed that he was writing for the greater good, to give a voice to those who had lost their own. This record of life in a colliery village must inevitably be sketchy and incomplete, especially when written and recalled by someone well over seventy years of age. There are no doubt others who could do a better job but I believe that unless it is done now a lot of the essential personal details will be lost forever (1). This is apologetic in tone. Richard seems to be making excuses for his memoir before it has begun, suggesting a lack of confidence in his own ability. Regina Gagnier says, ‘[m]ost working-class autobiographies begin not with a family lineage or a birthdate but rather with an apology for their authors’ ordinariness’ (1987, 338). Thus, Richard’s opening paragraphs are not only a justification for why it was written, but as an apology for any short-comings it may have. 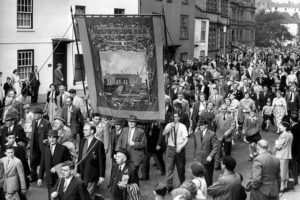 Durham Miners’ Gala: circa 1950. Whether Richard believed his recollections would extend beyond the local community is not clear. Andrew August writes, ‘[i]dentities develop out of the stories we tell (and hear) that help place us in the world. Narratives tell us who we are, and they define boundaries and identify who we are not’ (2007, 2). Some of Richard’s stories include a lot of detail about the work and machinery used within the pits. This indicates that he expected the memoir to be read by people who had some understanding of the more intricate details of mining life. It is evident that Richard identifies largely with the mines and the mining community: through him we can gleam a sense of what it must have been like for those who worked and lived through the same hardships. Richard is writing not just as himself but with a larger communal identity. The historian Joanna Bourke writes that ‘The word ‘community’ is popular…yet historians tend to be vague about what constitutes a ‘community’ or ‘communal feelings’: generally, it is said to include elements of identification with a particular neighbourhood or street, a sense of shared perspectives, and reciprocal dependency’ (Bourke, 1994, 137). It is clear, from the first part of Richard’s memoir, that giving voice to the small mining community is the greatest reason for sharing his memories. 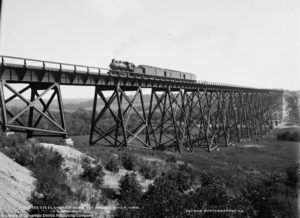 “Full of Steam”: circa 1895-1910. By the second part of the memoir, Richard seems to have gained confidence in his writing. He moves away from the mining history and ventures into experiences that are more personal. Compared to part one of his memoir, part two reads less like an historical record. Richard relates in great detail his move to America, to try and find work after WW1. Part two reads like a travelogue with entertaining stories, and vast details of landscapes and people he meets along the way. Writing in 1972, Richard would have been an old man, approximately 77 years of age, when recalling his life. There is a strong sense of nostalgia in the way he writes, ‘my youthful memories seemed to become more pronounced with the passing of time, I began to put them down on paper’ (153). His accounts of the past are intricately woven stories, and when reading them Richard’s voice is clear, leaping from the page. It is easy to imagine him sitting next to you, telling you the stories from his childhood, and even from the mines themselves. His conversational tone and his, sometimes meandering, tales are a joy to read. He always comes back to the point where he started, after leading the way through his vivid recollections. His memories are intriguing and informative, beckoning you to read on. There is nothing ordinary in his ability to write or his use of language, and he is nothing less than a master when “telling a good tale”. August, Andrew. The British Working Class, 1832-1940. Harlow: Pearson Longman, 2007. Bourke, Joanna. Working-Class Cultures in Britain 1890-1960: Gender, Class and Ethnicity. London: Routledge, 1994. Gagnier, Regina. ‘Social Atoms: Working-Class Autobiography, Subjectivity, and Gender’, Victorian Studies, 30.3 (Spring) 1987: 335-363. MORRIS, R. W., ‘Autobiography of R. W. Morris’, TS, c.350pp. (c.140,000 words). Extracts published as ‘A Boy goes down the pit’, Bulletin of the Durham County Local History Society, No. 20, Oct 1977, pp. 4-12 (edited by G. Patterson). BruneI University Library. ‘R.W.Morris’ in John Burnett, David Vincent and David Mayall (eds) The Autobiography of the Working Class: An Annotated, Critical Bibliography 1790-1945, 3 vols. (Brighton: Harvester, 1984, 1987, 1989): 1:520. Featured Image: “Bait Time” (The Sunderland Site). Image: Durham Miners’ Gala (Chronicle Live). Image: “Full of Steam” (Daily Mail Online).